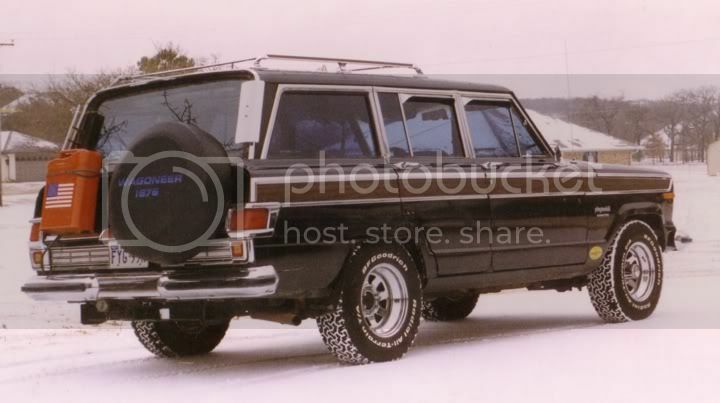 I was wondering if the wind deflector that is on the top rear of some FSJ's actually does anything worthwhile? Can you run with the rear window down without exhaust coming in or is it more an aerodynamic thing? It's supposed to keep the window clear from light dust or light powdery snow kicked up from traveling. IMHO a pretty useless doodad and certainly not worth drilling holes in your roof for. I liked these deflectors. My jerry can was vented and I never had any kind of fumes. Driving across the well maintained northern Colorado dirt roads at speeds of 40 to 60 mph they kept the rear glass clean enough than I could keep my following friend in view. on the other hand I kept the rear glass closed all the time.. Don S.. Neither configuration is going to allow you run with the gate window down but I agree with Don the corner wings do work better than the goofy single roof mount.